While it doesn’t feel like fall outside (hello 93 degrees! ), the September date on the calendar is making me excited for cozy evenings, rich colors, and falling leaves. 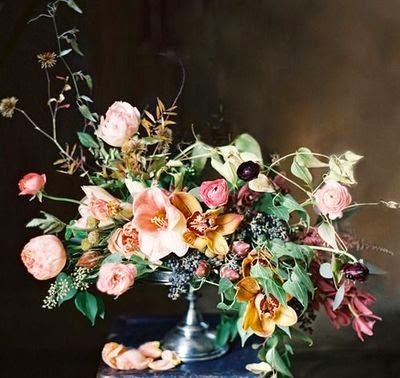 This floral arrangement would be a stunner for a fall wedding.